Wondering on how to enhance your business with the effectiveness of SMS messaging? We have various campaigns for you here! Bulk SMS MT (Mobile Terminated) is the core product of textbip messaging. Textbip offers end-to-end Bulk SMS solutions to its customers with the capability to send SMS messages all over the world. Textbip acts as an intermediary between the clients and the mobile operator world, helping them to avoid the complexities that arise when working with Bulk SMS mobile messaging services. As a Bulk SMS messaging provider, Tetbip is able to deliver the messages that the client sends via our system to any operator network worldwide, in a reliable, fast and cost efficient way. When it comes to messaging, Textbip knows that details matter. Whether it has to do with the cost, the delivery speed, the message throughput or the delivery success, Textbip ensures the client has full understanding of the various important characteristics of the Bulk SMS service bought. 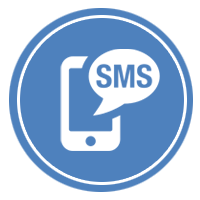 Textbip offers two types of connections to its system enabling a wide range of companies and individuals to use its SMS gateway. Our web application is designed for dynamic performance. All your needs will be fulfilled at the click of a button. Send unlimited SMS to any local and international number in the world with the Unlimited Text Messages to any country you want. Secure text messaging services for businesses around the world. All your text messages are safely stored and managed by professionals. Textbip provided us a quick and cost effective solution in communicating with our off-site interpreters.